These two cruiserweights are set to meet on Saturday in the quarterfinal of the World Boxing Super Series. Murat ‘Iron’ Gassiev will arguably face his toughest challenge yet when he faces Wlodarczyk in this straight elimination tournament and will have to be at his best to beat the former world champion and current mandatory challenger to the IBF world title. Gassiev picked up the IBF World Cruiserweight Title last year by beating the then champion Denis Lebedev who was making his first defence of the title. Gassiev has the height and reach leading up to the fight by 2 and a half inches in height and the inch in reach. Obviously, Wlodarczyk has a massive experience rating but who has the better form? In the last 5 fights, Gassiev has 4 wins and 1 no contest where his opponent was unable to continue after a punch after the bell. He has stopped 3 opponents and won over the 12 in his most recent fight while his opponent has a record of 4-1-0 in his last 5. Wlodarczyk, in my opinion, will prove far too experienced for the unbeaten man and will win the fight via points or decision despite being the underdog in the fight. SKY Bet has the young Gassiev as a big favourite in the fight at 1/20, a draw at 25/1 and a Wlodarczyk at 15/2 which is definitely catching my eye while Bet365 have Wlodarczyk at 8/1 and the ‘Iron’ at 1/20 and Coral as well as Ladbrokes have Gassiev at 1/25 and ‘Diablo’ at 8/1. Sporting Bet has the 35-year-old at 15/2 with the unbeaten man at 1/14. If you fancy the underdog on this one you can grab some good odds but unfortunately, no other markets are available for this fight with any other bookies mentioned. The only site offering other markets on the fight is who have my prediction of a Wlodarczyk decision/points 34/5 and TKO or DQ at 6/1 while a Gassiev KO, TKO or DQ is at 1/5 and a decision/points at 1/14. Unbeaten Brant will face veteran Braehmer in his opponent’s home country of Germany on the 2nd of September in the quarterfinal stage of the World Boxing Super Series at super middleweight. The German hasn’t fought since October last year where he lost his WBA World Light Heavyweight Title to Nathan Cleverley, a title he held for over 3 years, successfully defending the title 6 times. His age and the short while he’s been out of the ring may come into play massively when facing the young unbeaten 26-year-old. This will more than likely prove to be the American’s toughest fight yet having not yet faced an opponent at the level that Braehmer is at but will have many advantages regardless. One of which being his youthfulness. Age, no matter of the result, with be apparent in the fight. Another thing going his way is form, having won all of his last 4 fights by way of knockout and 9 out of his last 10 ending by a Brant stoppage. The German has only fought 4 times since the turn of 2015 with a record of 3-1-0 in that time. I believe it can only go 2 ways, a Brant stoppage or a Braehmer decision win but on this one, I am prediction a Brant stoppage. Bet365 have the German as the marginal favourite at 8/13 and the American at 13/10 whereas William Hill has it at 4/7 for Braehmer and 11/8 for Brant. Betfred has the 38-year-old at 8/15 and ‘Bravo’ Brant at 6/4, Coral and Ladbrokes have Braehmer at 8/15 and Brant at 11/8. For this and the previously mentioned fight, Betfair is the only site offering any type of over market who are offering my prediction of a Brant KO, TKO or DQ at 13/10 and decision/points at the same while a Braehmer KO, TKO or DQ is at 4/7 and a decision/points at 8/11. 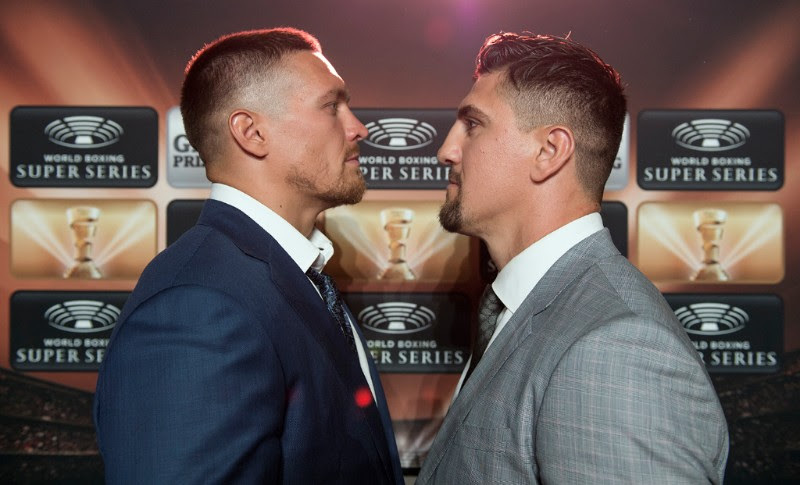 In the first stage of the World Boxing Super Series, the current WBO World Cruiserweight champion Usyk will face Marco Huck, a former long-time holder of the WBO belt. Huck won the belt in 2009 and held it till 2011 when he vacated the title, only to win it back a year later and holding it for a further 3 years before losing the title to Krzysztof Glowacki in 2015, making 13 successful defences. Form wise, Huck looks weaker out of the two having won 3 and lost two in his last 5 which includes winning and losing the IBO world cruiserweight title, losing the WBO title that Oleksandr Usyk currently holds and failing in the chance to pick up the WBC title while on the other hand, Usyk has defended the WBO Inter-Continental Cruiserweight Title twice which he later vacated and winning the WBO title as well as successfully defending it twice. Huck will be a serious threat to the Ukrainians chances of picking up the championship and will be actively seeking to put his place in the next round, and go on to pick up the championship himself and I tip him to beat Usyk despite his dip in form. He knows nights like this far too well, having a large experience advantage and gets the job done to win by decision. So far, I have gone for all of the underdogs to win and it doesn’t change here with Huck being the bookies underdog, with Coral, William Hill, Betfred, Ladbrokes, 32Red and Bet365 all having him at 8/1 while putting Usyk at 1/25 (Coral, SKY Bet, Paddy Power and Ladbrokes), 1/20 (William Hill , Betfred, Sporting Bet and 32Red). Betfair is the only ones offering other markets once again and my prediction of a Huck decision/points at 7/1, a Huck stoppage win (KO, TKO or DQ) 13/2, a Usyk decision/points win at 4/7 and a KO, TKO or DQ win at 2/7. I have backed all 3 underdogs to upset the odds which would bag me 129/1 at Bet365 while offering you 1.53/1 on the favourites. SKY Bet is only offering bets on two of the fights above, the Gassiev-Wlodarczyk and Usyk-Huck fights, offering 71/1 for my predictions and 0.09/1 the favourites which may show how delusional I may be thinking right now! Bear in mind I could be wrong about all or none and anywhere in between on my predictions!